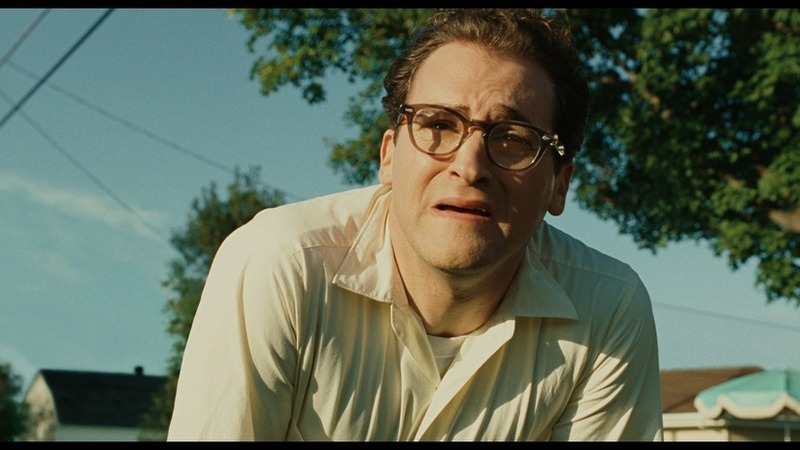 A Serious Man is a film by Joel and Ethan Coen. So naturally, when it was first released, nobody understood it. A lot of people compared it to the Book of Job. Sure, he gets tested a lot, but he’s more like a schlimazel than a Biblical figure. Somebody is always spilling their soup on Larry, whether that be in the form of divorce papers or blackmail. Gopnik is a physics professor who lives in suburban Minneapolis. His children resent him, his brother freeloads off of him, and his wife wants a divorce. To add on to that, he also has a lot of money problems. While Larry has the looks and the neurotic mannerisms, he doesn’t fulfill Jewish stereotypes in that he can’t keep his finances in order. Larry is a lovable schlub partially because most of the bad things that happen to him are out of his control. At one point, Larry seeks the help of a series of rabbis. The first rabbi won’t shut up about a parking lot. The second rabbi tells a story. The third rabbi, who is the wisest of the three, is “busy.” The second rabbi is the only helpful one with the bleak advice that you can’t stop death, so we just have to enjoy life. Like every Jew I have ever met, Larry tries so hard to control his fate that he forgets that sometimes it is both easiest and hardest to just let go. When I first saw A Serious Man, I thought that non-Jews would not be able to connect with it. After all, it is filled with specific cultural references and Hebrew prayers. After all, every good American knows that foreign languages are scary. However, Larry’s struggle is not so different from anybody else’s troubles. Everybody wants their loved ones to succeed. Nobody understands music that the younger generation enjoys. Everybody gets confused when their neighbor takes their son out of school to go hunting. Okay, so maybe not that last one. Jews are sort of different, I guess. This entry was posted in Uncategorized and tagged A Serious Man, Chanukah, Coen Brothers, Hanukkah, Joel and Ethan Coen, Larry Gopnik, Minnesota on December 16, 2014 by ian0592.